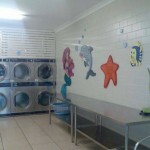 Our Coomera and Studio Village laundromats are the cleanest, fastest and best laundromats in the north Gold Coast! 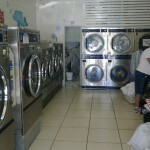 State of the art environmentally responsible Dexter commercial washing machines and gas dryers accept $1 and $2 coins. These machines are huge and they are quick! You’ll be in and out in no time! Free detergent and fabric softener is automatically injected into all of our Dexter washing machines! The change machine onsite accepts $20, $10 and $5 notes. 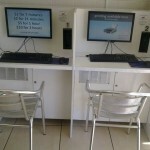 High-speed internet kiosks and printing are available onsite. 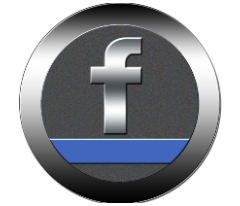 Need large washers for your curtains and doonas? You’ll love our huge 9.1 kg, 13.4 kg and 22.5 kg (dry weight capacity) commercial washers and our 6 huge 13.61 kg Dexter commercial gas dryers! 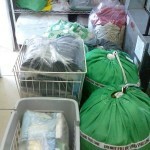 Friendly, helpful laundry professionals ready to help you 8:00am-3:00pm Monday-Friday. 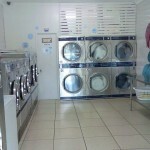 We hope you love this Laundromat as much as we do!